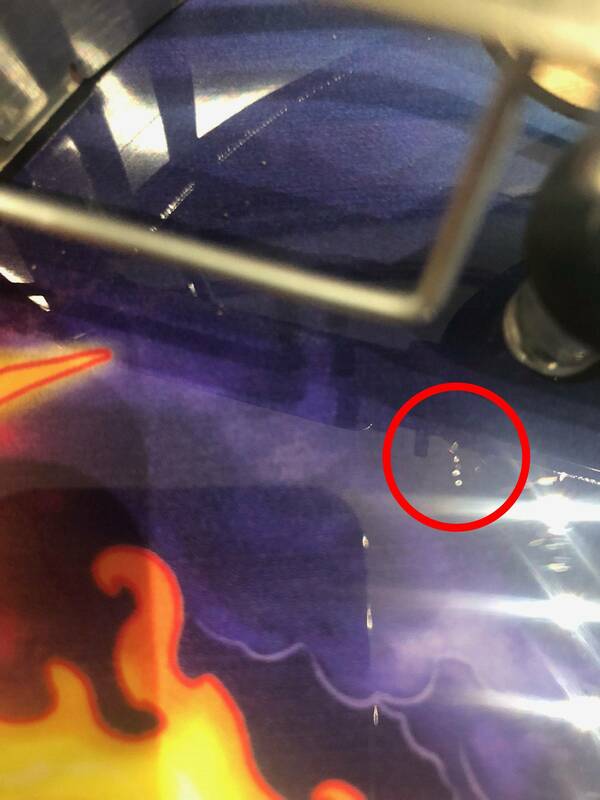 » Forum » Game manufacturers » Stern Pinball » Playfield QC on Iron Maiden? » Playfield QC on Iron Maiden? 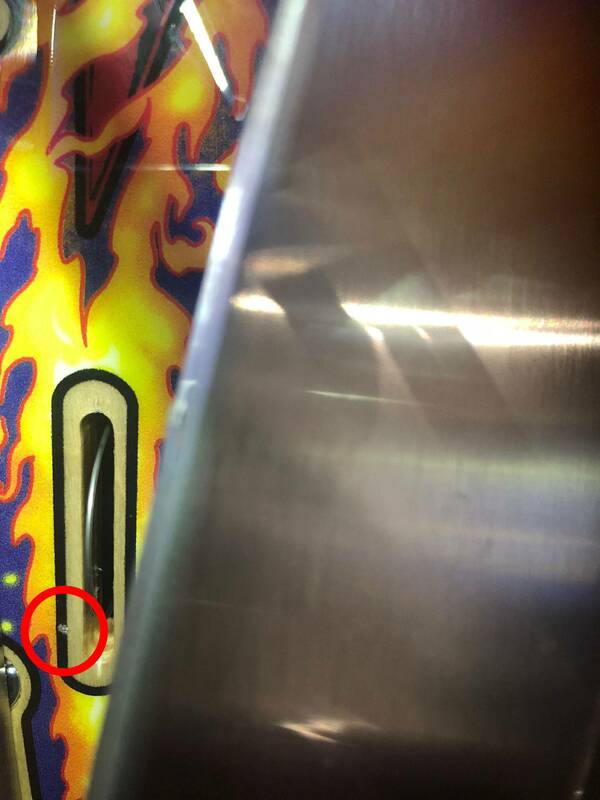 Playfield QC on Iron Maiden? How perfect should you expect a playfield to be when receiving a NIB? My IMDN LE just arrived and I noticed some playfield clear coat bubbling in two places. Is this common and I should just forget about it and enjoy the pin or is it worth bringing up the issue with Stern? 1st picture: Bubbling by shooter lane exit, was a bit hard to capture in photo, much easier to see in person. 2nd picture: Bubbling/chip by right orbit switch. You can feel both of those by running your finger over them. Just don't put your eyeball 2 inches from the playfield and you'll be fine. Well those inlanes areas will get dented at some point and need to be covered with a cliffy anyway probably, that's take care of that. When you go to sell it later crazies will only ask for pics of the shooter lane and not exit so that should be alright. Contact your distributor and see what they think. Put Mylar over both and call me in 10k plays.